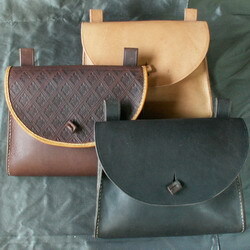 A wide range of mens belt pouches and bags typical of those worn in the past. 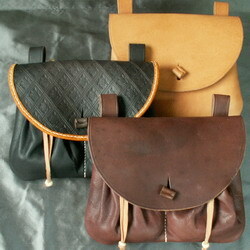 Just like today there are distinct differences between the styles of bags worn by men and those worn by women. 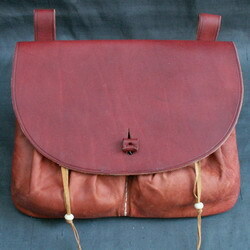 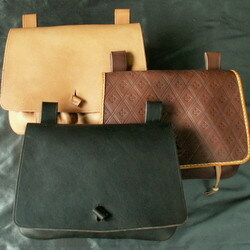 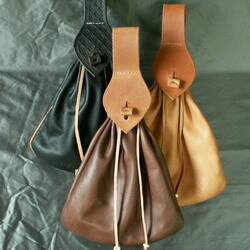 Men's bags are more varied in shape and style and where worn on a belt. 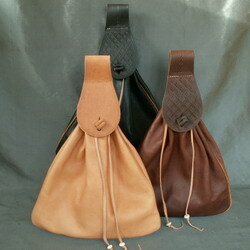 The style of purses changes gradually through the centuries and it is very difficult to say for certain when particular styles first appear and when they finally disappear. 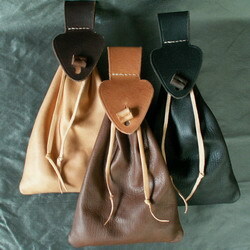 Some, probably because of their simplicity, are common in all periods until the 18th century when external purses for men become rare. 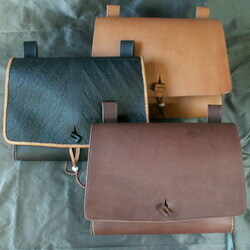 All my purses are made entirely by hand using leathers that are as close to the leather available to the period craftsmen as possible and are dyed using period dyes. 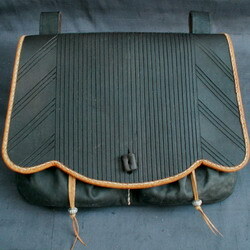 All the designs are based on original sources, either surviving examples found in museums or from illustrations found in paintings and prints. 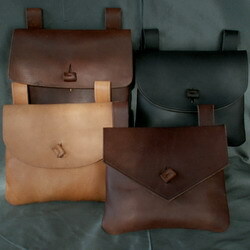 I have included source pictures alongside my re-productions so you can see what they are inspired by. 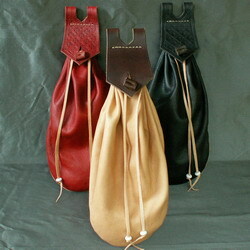 If the pouch or bag you want has been sold then get in contact about ordering one.